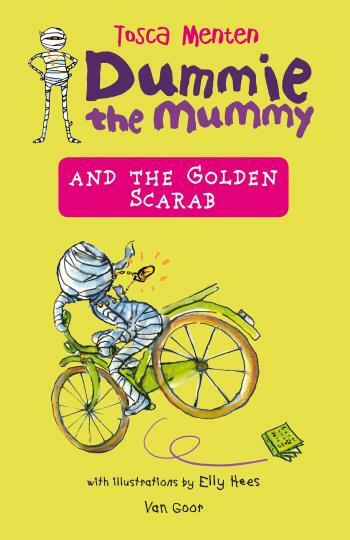 The first adventure of the funniest mummy ever! Just imagine. You’re called Angus Gust, you couldn’t be more ordinary and you live in the most boring town in the world. One day, you walk into your bedroom, smell something nasty, look around and suddenly notice a mummy lying in your bed. What would you do? Yes, you would be scared to death, of course. And you would close your eyes, count to ten and be sure it would be gone. But just imagine that after ten seconds, it would still be there… And after twenty seconds too…! What would you do then? Angus quickly got the tweezers out of the first aid kit and his father used them to grasp the final strip. Alright, here we go, he said. Maybe it won’t be as bad as all that. Then he lifted up the last flap. It was as bad as all that. They scared themselves to death. Whumpy dumpman, he’ll never get a girlfriend, Nick whispered.